An Introduction to Pharmaceutical Formulation describes the various forms in which drugs may be supplied to doctors, patients, and veterinary surgeons. An account is given of the materials which may be added to drugs in order to provide formulated products, and of the methods by which formulations are assessed. 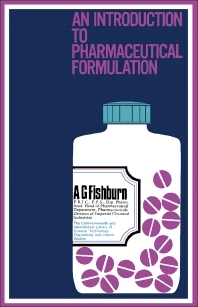 The book begins with a background on pharmaceutical formulation, describing manufactured and official formulations, important criteria for a formulation, and technical advances in pharmacy during the post-war period. This is followed by separate chapters on diluents, solvents, and liquid vehicles; thickeners and binders; the chemistry and pharmacology of surface-active agents; and colors, flavors, and preservatives. Subsequent chapters cover solid, liquid, and paste formulations; controlled drug release; the stability of formulations; the importance of the container of the formulation; and large-scale manufacturing of formulated products. This book is intended primarily for students of pharmacy. It is not a textbook of practical or theoretical pharmaceutics but should be read in conjunction with other books on these subjects.